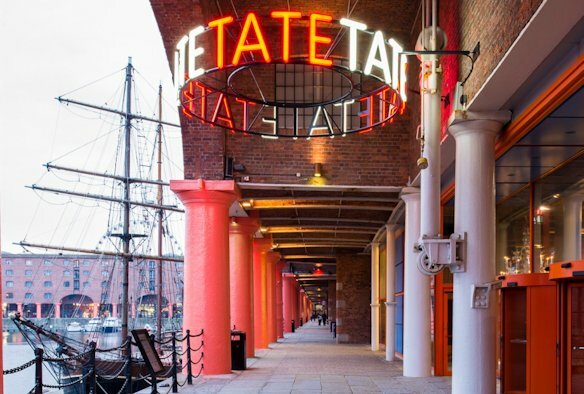 Staff are invited to participate in Tate Exchange, an ongoing research and public engagement programme, which forms an essential part of the University’s collaboration with Tate Liverpool. The programme, which opened to the public on 27 November 2016 at Tate Liverpool, includes events developed by artists, practitioners and partners, including researchers from the University. Tate Exchange is an open experiment with the aim to build a dialogue around art, society and the wider issues facing us today. Situated in the 1st floor gallery at the heart of Tate Liverpool’s collection displays, Tate Exchange Liverpool offers a unique space among work by artists including George Grosz, L.S Lowry, Sarah Lucas and Camille Pissaro, to collaborate, test ideas and discover new perspectives on life through art. Proposals for Tate Exchange projects are open for 2016-17, on the theme of “Exchange” and for 2017-18 on the theme of “Production”. The event takes place on at 12:15pm-13:15pm Tuesday 31st January 2017 will give staff the opportunity to hear more about the programme and how to get involved. Lunch will be provided and will feature an introduction from Executive Pro-Vice-Chancellor, Humanities & Social Sciences, Professor Fiona Beveridge, with short presentations from Lindsey Fryer from Tate Liverpool; and Kate Spicer and Yiota Vassilopoulou from University.